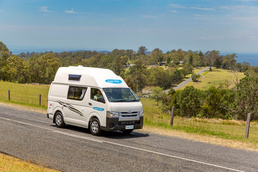 Motorhomes are referred to as campervans in Australia, and they range from the minimalistic sleepervans to 6-berth vehicles. 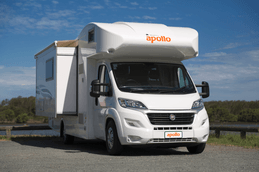 The biggest RV-style motorhomes are rare in Australia, so be prepared for some close quarters if you are travelling with 6 people. Small sleepervans are popular thanks to the laid-back atmosphere of the country, many of which are not self-contained. If you are planning to rough it a little, a self-contained van with a toilet and waste water tanks is necessary. 4-berth vehicles are the largest 4WD campers offered, and are great for an adventurous family who want to get off the beaten path. 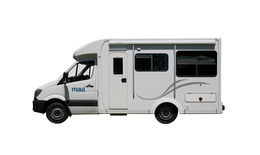 4WD campers are the only motorhomes designed and permitted to go off-road and on unmarked roads and tracks. These sturdy vehicles are compact and generally built over a ute or SUV-style base.